When you’re traveling on a train or bus, you’ll come across salesmen or street vendors that sell branded earphones for under 200 and 500 Rs. Some folks buy the fake headphone just for the sake of showing people that they’re using a branded product. The duplicate earphones will last for 2 or 3 months. If you accidentally drop it, the earphone’s driver unit will be dislodged and it will not be usable. Why waste 200 or 500 Rs on a fake product when you can buy a good quality earphone online for the same price? Well, I’m not kidding! You can buy headphones that will last long for a budget below 501 Rs. None of the earphones Sony, Bose, JBL or Sennheiser has launched in India cost below 500 Rs, but Philips, Xiaomi, Samsung, and Flipkart has introduced cheap headphones for the budget conscious people. Flipkart has been launching consumer electronics good in India under its Smatbuy brand. The e-commerce giant had launched the Wired Meta Headset for Rs 799 in India. WMH has 20000+ reviews on Flipkart and a good rating of 3.9. Flipkart is selling WMH for 60% discount at Rs 349. It is also offering a 10% discount on selected credit/debit cards. Hence, you can get the Flipkart Smartbuy WMH headphone for Rs 375. WMH won’t hurt your ears because it features silicon earbuds. This in-ear earphone features a microphone module, a neodymium magnet, and it is a wired type device. Philips is one of the top home appliance brands in India. It has launched music players, LED televisions, and many other devices in India for an affordable price tag. SHE 1360 is the best earphone under 200 Rs. Although it is cheap, SHE 1360 is durable and lightweight. It has a special bass vent for better airflow. The earphone has plastic earbuds and it has a short cord. It may hurt your ears if you are wearing SHE 1360 for several hours. The sound quality of Philips SHE 1360 is pretty good for the price. The earphone doesn’t have a microphone. Xiaomi began its journey in India 3 years back by launching the Redmi 1s phone. The Chinese firm has become the leading phone brand in India within 4 years. Xiaomi has not only launched phones but has also introduced cheap power banks and earphones. The company’s Xiaomi MI Basic earphone costs 599 RS and it has a premium design. Mi Basic features a button to pause or resume playing the paused track. It is built with durable aluminum and high-quality silicone. The Xiaomi earphone includes a microphone system through which users can answer new calls. It weighs below 20 grams. The EHS64 headphone was launched by Samsung in 2013. It is one of the top earphones under 500 Rs. The Samsung IEM is a cheap and stylish device. It is lightweight as well. EHS64 is comfortable to wear and it provides terrific bass, treble experience for a low price tag. It includes a microphone and a remote function. It is compatible with mobile devices and computers with a 3-millimeter headphone jack. The price of Samsung EHS64 earphone is Rs 499. 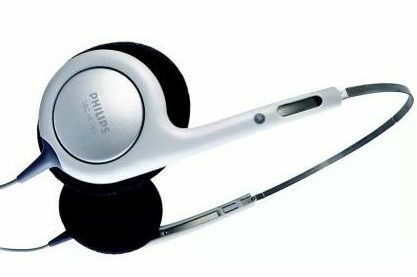 Philips SBCHL140 is the only over-the-ear headphone from a top company that you can buy online within a budget of 200 to 500 Rs. This device doesn’t support noise cancellation nor does it allows users to answer calls. SBCHL140’s body is built of plastic and its design is good. The headphone ships with an inseparable 1-meter cord. Philips SBCHL140 packs a Ferrite magnet, 30mm driver, and a Chrome plated connector. It supports connectivity with devices fitted with a 3.5mm headphone jack. Its price is Rs 390. Didn’t like the design of SBCHL140? The Philips headphone looks fragile? Flipkart’s EA1BP over-the-head earphone is a good alternative to the above device. The Flipkart device employs a Neodymium driver and it has a great design. It also has a longer cord than other earphones we’ve mentioned above. EA1BP has a plastic body and its earcups are made from rubber. It is foldable. Because of its lightweight design, Flipkart EA1BP is portable. The headphone features tangle-free wires. It costs Rs 499. Conclusion: Flipkart WMH, EA1BP, Xiaomi Mi Basic, Philips SH1360, SBCHL140 and Samsung EHS64 are the best earphones under 500 Rs in India.